Ketamine was discussed at some length during the CND meeting. However, it was not included in the agenda for international control. The WHO’s Expert Committee on Drug Dependence (ECDD) position was upheld - that ketamine is an essential medicine and should not be scheduled. China expressed disappointment with the ECDD recommendation against scheduling and stated that it still believed ketamine should be under international control. However, it concluded by saying that it concurs that the scheduling discussion should be postponed and again called for additional data. The strong support of the ECDD’s position from the worldwide medical and veterinary community has played a huge role in averting a crisis. Those present in Vienna deserve a medal for all they did and thanks are due to all the efforts, large and small, that has brought us this far. However, the issue has again not gone away – the notification by China still stands, and the issue is very likely to arise again. 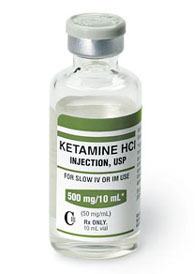 The momentum for providing a global perspective on ketamine's importance in both human and veterinary medicine must be continued. Lobbying against international control has to continue. Please continue to use all opportunities to advocate for ketamine – that it does far more good as a medicine than harm as a recreational drug. New data and information will continue to be added to this website – please share it wherever possible!